If you guys hadn’t realised yet, I love Gin. Have I ever mentioned it?! Everyone needs a hobby, right?! This year, World Gin Day is on Saturday 11th June and I was wracking my brain for the best way to do this most wonderful day justice in a blog post. I decided to be brave and contact the absoloutely spiffing guys at Silent Pool Distillery in Surrey (they are in our beautiful neck of the woods) and the lovely ladies at Parent Apparel Clothing to see if they minded me doing a bit of a post about them. Not expecting to hear back, I got on with my day and later on I was over the moon to see a reply in my inbox from them saying that they would love me to do one. Fantastic! Silent Pool is a magical, and peaceful, place in Guildford, Surrey. It is a spring-fed lake at the foot of the North Downs, within the privately owned Albury Estate, which itself has a wonderful vineyard. The outflow of water from Silent Pool runs into a second lake called, Sherbourne Pond. It was created in the mid-seventeenth century. The Distillery uses the water from this in it’s Gin. The water in the pool itself is stunning, and crystal clear. Sadly it cannot be drunk from directly, nor swum in, due to an infestation of harmful weeds taking over the pool. Work is currently underway to prevent the spread of the weed and to maintain the pool in all it’s original glory. There are many walks near and around the pool itslef and it is a stunning place to visit with the family. Silent Pool is considered by some to be a sacred, and haunted, site. It is linked to an old tale that says King John arrived at Silent Pool on his horse and attempted to abduct a woodcutter’s daughter. In her panic, she was forced into the deep water of the Pool and she drowned. According to the legend, the ghost of ‘The Maiden of the Pool’ can be seen there at midnight. 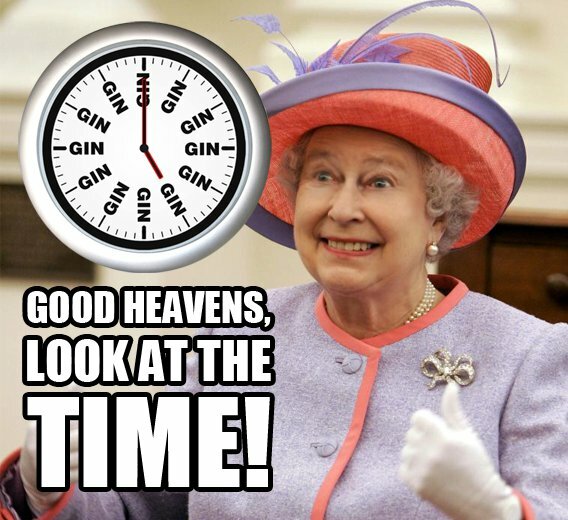 The guys down at Silent Pool Distillery, which started life about 15 months ago, are hosting a super event on Saturday 11th June in honour of her Majesty’s 90th Birthday and also, World Gin Day. How appropriate the two events fall on the same day this year! I’m sure her Majesty is over the moon with this coincidence as she is rumoured to drink a straight Gin just before lunch every day. What a superstar! She was already pretty high up in my estimations after her epic performance with 007 in the opening ceremony of the London 2012 Olympics, but that takes it to a whole new level. You can help celebrate the Queen’s 90th Birthday & World Gin Day at the Silent Pool Distillery. They will be toasting the Queen’s 90th birthday on June 11th 2016 with a spirit specially created in her honour – English Rose Gin – which will be available to sample and buy. There will be Distillery tours, food and drink, as well as live music. The event will run from 11am – 6pm. Entrance to the Open Day and distillery tour is free. If you fancy it, get yourselves down there for a day of Gin, Food and Frivolity! What better way to spend your weekend?! Come and blow the old steam whistle, which normally echoes across the Tillingbourne Valley in the traditional announcement that gin is being distilled, and guess the number of corks in the Silent Pool’s unique 9 litre gin bottle. Prizes include tickets for a 90 minute Gin Experience Tour plus £5 voucher to be used towards a purchase on the tour night. In the evening, they will be holding an Outdoor Cinema Night where they will be showing the classic movie, High Society with Bing Crosby, Frank Sinatra and Grace Kelly. This is a ticketable event. Purchase tickets by emailing a contact name and telephone number to: tickets@silentpooldistillers.com or by clicking this link. You can purchase the wonderful Silent Pool Gin here. A review of Silent Pool, English Rose Gin. This Gin has been specially comissioned by the guys at the Silent Pool Distillery for the Queen’s 90th Birthday celebrations. It’s a tipple I’m sure the queen herself would love. Fragrant rose, subtle enough to not smell and taste like your Granny’s knicker drawer, and smooth, this Gin is one of my new favourites. I tried it neat at the Distillery and found it quite potent, but not so bad that I felt like my throat was on fire! You get a definite Turkish Delight taste lingering in your mouth after you’ve swallowed it and it really is very pleasant. As I like to have tonic with my gin, I tried a few different ones out to see what partnered up best with it. My favourite one was Fever Tree Elderflower Tonic, followed closely by Fentimans Herbal Tonic water. Both tonics completely changed the way the gin tasted, but both were extremely good with it. I personally felt that the Elderflower Tonic, with it’s floral notes, complimented the rose gin very nicely and this is now my Friday night tipple of choice. The perfect summer Gin. I would say it is best to have this gin neat, or just with a tonic. I feel it’s subtle rose notes would be lost slightly in a cocktail. Enjoy it in it’s purest, and most traditional, of forms. If you’re looking for a slightly unusual Gin, or a special gift for someone over the summer months, look no further than Silent Pool’s English Rose Gin. I love to bake cakes. And I also love Gin. When the two combine, it’s a match made in Life is Knutts heaven to be quite honest. I wonder if The Queen would agree…? A fabulous friend of mine, Ashleigh, who blogs over at Hey Little Sweet Thing, sent me a message earlier in the week along with a recipe for a Gin and Tonic Loaf cake. It was love at first sight, she clearly knows me too well! I had a look at the recipe, and a few others, and jiggled some things about in the recipes to come up with my own version that works for me, using one of my late nan’s basic cake recipes as a starting point. She would have loved to have seen The Queen turn 90. She was a real fan of the Royals, she also went as far to believe that she looked like The Queen and often told me that people told her as such too. Bless her, she will always be my Queen regardless. It’s a basic cake recipe which uses 4 eggs which you weigh whilst still in their shells. You then use that exact same weight of the 4 eggs to measure out the other ingredients; butter, sugar and self raising flour. Pretty fool proof really. Even I can make it! I used ‘normal’ Gin in the cake itself as I thought the English Rose Gin would get lost in the cake mix, but I did use the English Rose Gin for the Sugar Icing Glaze as it’s drizzled on neat and you can taste the Gin much better. If you wish to use it both in the cake and the icing, however, you can. Who am I to say otherwise?! The full recipe for my, “Queen’s 90th Birthday Gin and Tonic loaf cake”, can be found here. Thanks so much to the guys at Silent Pool Gin for letting me ramble about their wonderful Gin, and if you’re not too far away from Guildford on Saturday, be sure to visit them! They’re super friendly and their copper pots and equipment in the barn at the Albury Estate are truly stunning. All the best for the main event on Saturday guys! Seen as it is almost World Gin Day, I thought I would do a little review of a clothing brand I stumbled across on my blogging travels last week. The company is called The Dandy Kid and they have a brillaint brand on their website called, Parent Apparel, by the wonderfully talented blogger, Mother Pukka. They do some super funky, and sometimes slightly cheeky, clothing and merchandise for Parents. I think they’re bloomin’ brillaint! From School Run slogans to ones about parenting, these t-shirts and jumpers are sure to get you noticed, and probably cause a wry/knowing smile from other parents whilst out and about. I chose to get the ‘Gin & on it” jumper because…well, why do you think?! I really love Gin!!!!!!! Because they are so lovely, they also sent me a little, “Gin & on it” badge, which I fully intend to pin on my handbag and I shall wear it with pride. The jumper arrived and I ordered a small. It would fit a size 8-10 person perfectly and I was over the moon with the fit of it. It’s quirky, it’s colourful without being too ‘in your face’, and I can’t help but giggle to myself when I have it on. The material is super soft and after washing it, it’s retained it’s colour and shape really well. If you’re looking for a unique gift for a new parent, a parent to be, or just want to buy yourself something because you bloody well deserve it, look no further than Parent Apparel’s clothing range! With fathers day creeping up on us here in the UK soon too (Sunday 19th June people! ), why not get one of these fabulous t-shirts as a gift for your other half?! They also sell tote bags, perfect for popping to the shops or doing the school run! You can buy their epic clothing and merch by clicking here! Thanks so much for the super-duper jumper and badge! I am literally in love with them, as are a few of my readers! Many thanks to both Silent Pool Distillery and Parent Apparel for allowing me to write this post. Have a completely amazing World Gin Day on Saturday everyone! Fantastic! Post! I’ve done Bourbon trail tours, such fun! Wish I were nearby to visit – love your blog! Gin and tonic cake!!!! Now that I didn’t know. Fab review- the variety of gin sounds very tempting. And the shirts will make a very cool Father’s Day gift. The cake turned out pretty well. It’s not overpowered with Gin, and is basically like a lemon drizzle cake but with the added bonus of some alcohol! Thanks so so much for reading and writing. Ah, i want to go to that distillery to see the silent pond, it looks so tranquil! And I love that they created a national day just for you and your hobby!! When is my national peanut butter day???? Leah Miller recently posted…Is there enough room in my heart for another?